This post is a small research I decided to carry out after reading an article about a city in Russia. 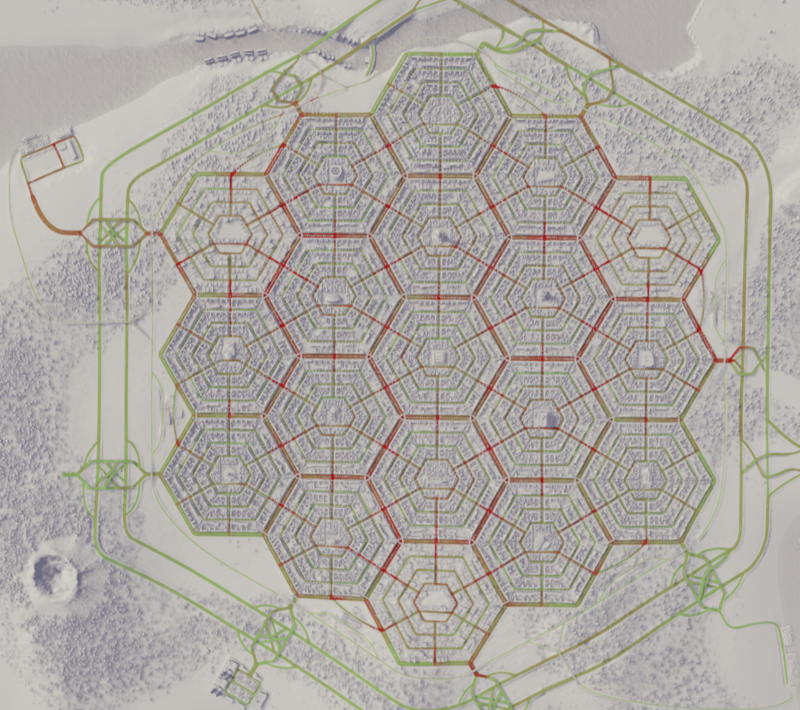 In particular, I am going to consider the feasibility of building a city of hexagons. 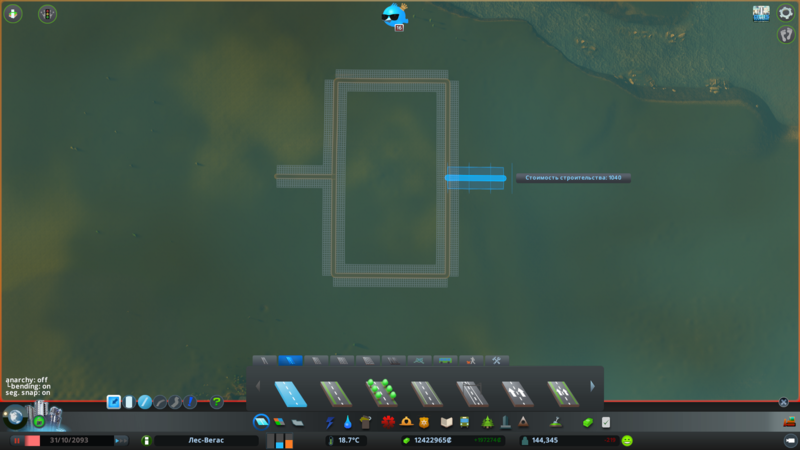 Since I don’t know any program or any other professional tool for simulating cities and moving vehicles in cities, I’ve decided to carry out a study in the “Cities: Skylines” game as it’s quite suitable for this purpose. If you are interested, welcome under the cut. I’m an ordinary Android developer. 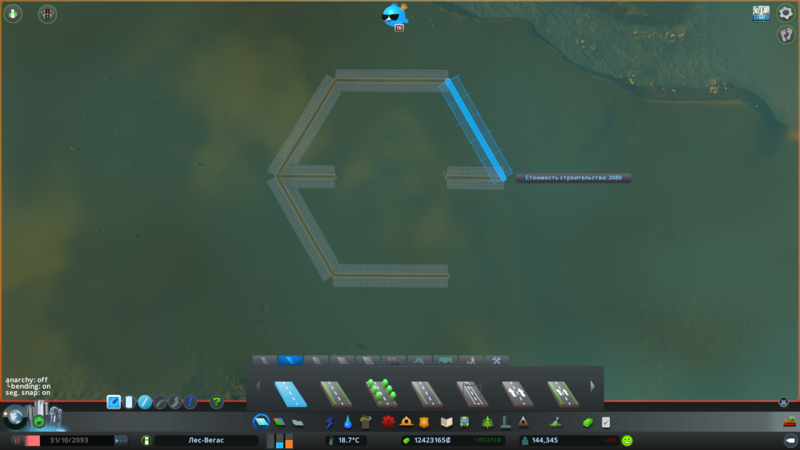 I don’t have any education related to planning and building cities. Therefore, I do not consider this research to be a serious proof in favor of hexagonal cities, but I still find it necessary to share it. 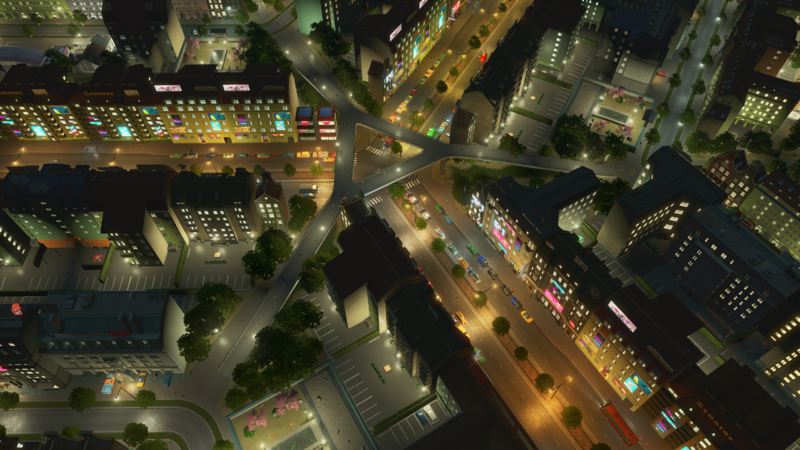 The “Cities: Skylines” game is a town-planning simulator in line with the famous “SimCity”. 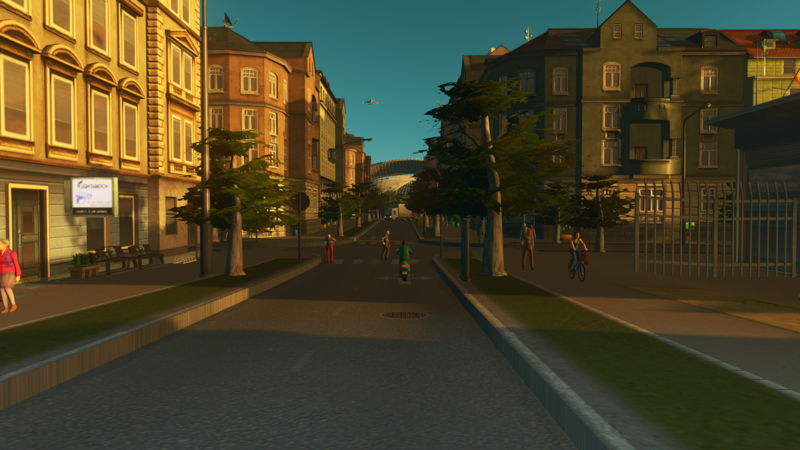 A distinctive feature of this game is that it simulates the life of every citizen. Every inhabitant of the city goes to work, leaves work and goes shopping, and then goes home, and the sequence may differ. In addition, citizens regularly need to have rest at some place or park. Tourists also come to the city and go sightseeing or for a walk in the park. If the place of destination is close, the citizen will walk there or ride a bike. If it’s far away, the citizen will use the public transport or take a car from his pocket. Sitting in the car, he will drive down the roads, giving way to pedestrians at intersections and observing other traffic rules, and then he will get into a traffic jam due to the fault of the Artificial Idiot. Citizens can also be born in the city and go to primary school, then high school, and then they will either go to university or get a job. Later on, he dies of old age and a hearse comes for him. 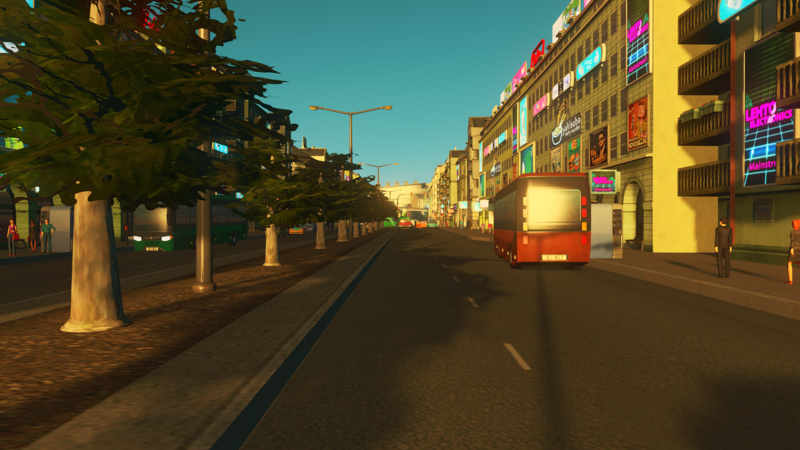 There are also other types of transport in the game, from firefighters and ambulances to trains and ships with hundreds of passengers or thousands of tons of cargo delivered in the city by trucks. 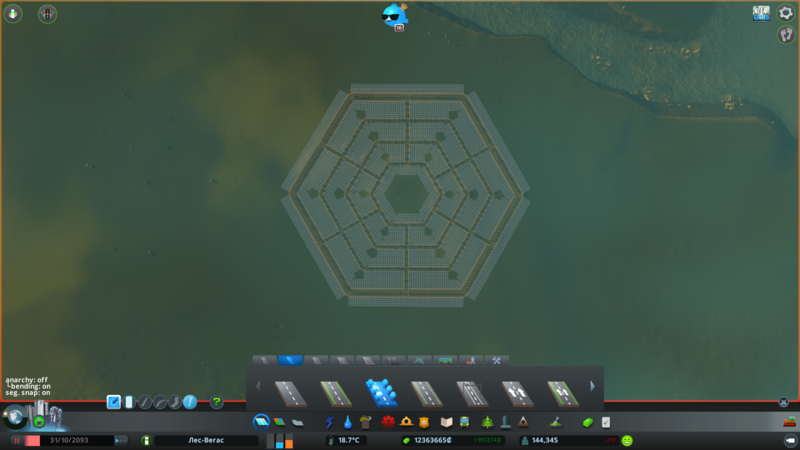 To sum it up, I think that this game can be used as a tool for various researches or maybe even for the initial planning of new cities. From above, the city looks like this. 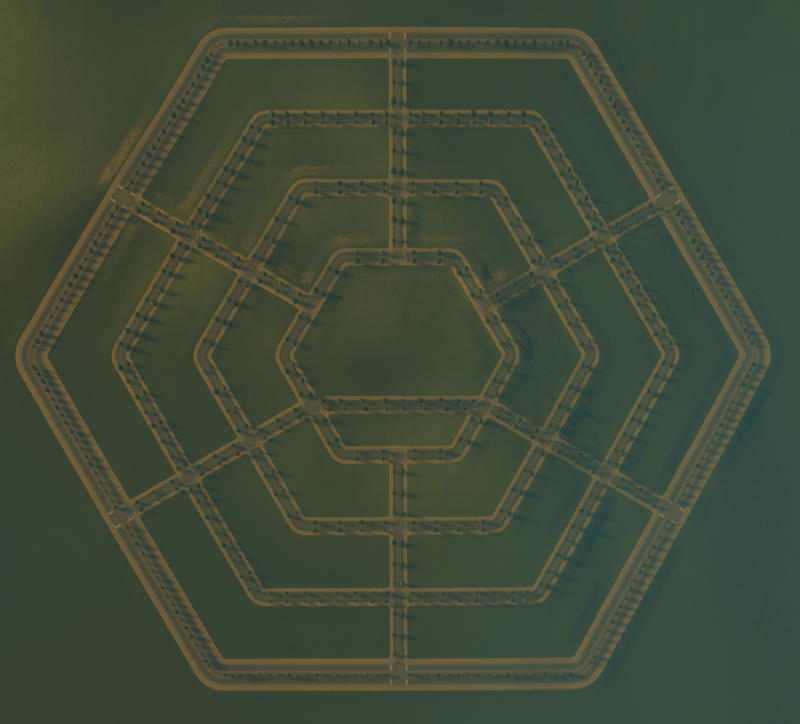 It consists of 19 hexagons and is surrounded by a highway, also in the form of a hexagon (I’ll tell you more about this later). 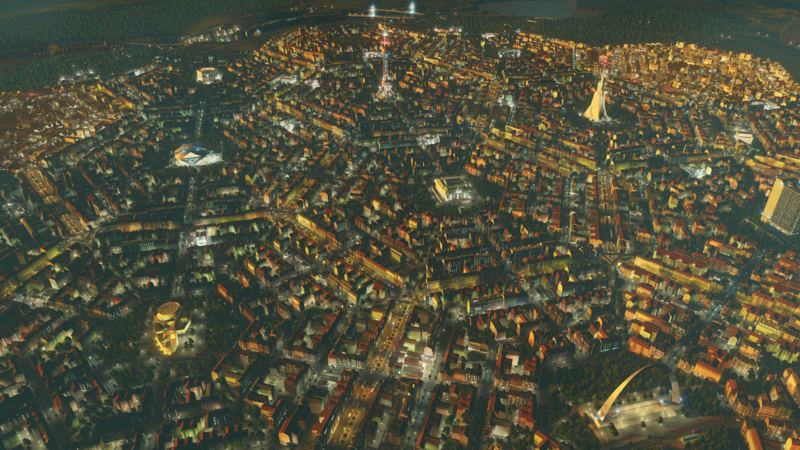 150,000 people live here, which is quite a lot by the game standards. 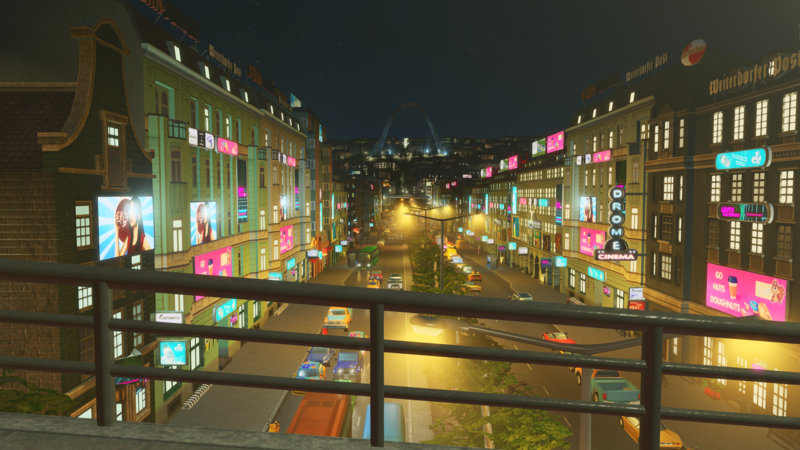 In addition, absolutely every citizen in the game has a car and carries it in his pocket, including teenagers (the age corresponds to 12-20 years in real life, and you can drive a car at 20 in Russia). So there are plenty of cars on the roads. 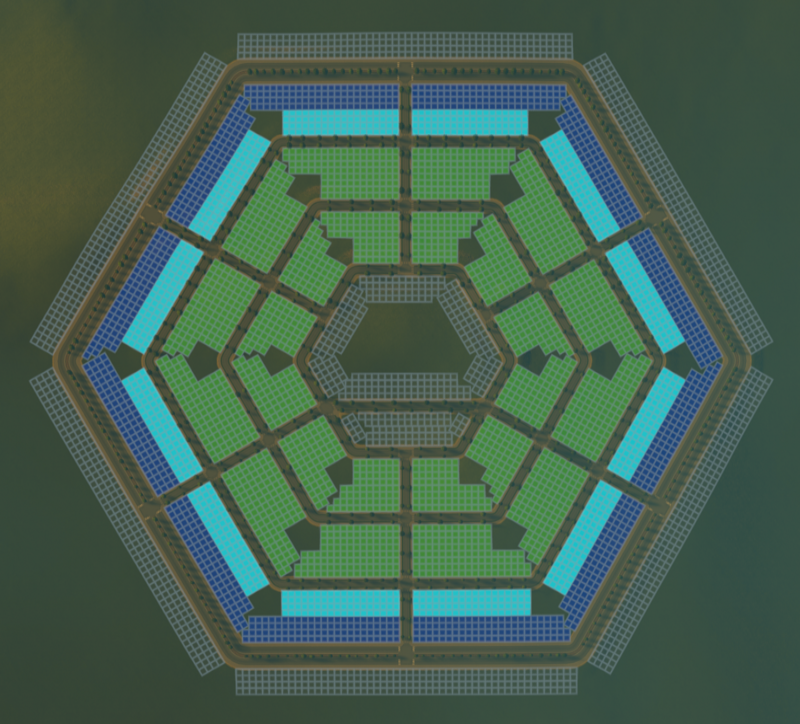 Here’s how the layout of a hexagon looks like. There’s an important thing in the design — inside the hexagon, walking should be more convenient than driving a car, which creates some features. A wide main road is located along the perimeter (from two to four lanes in each direction). The main stream of cars will move along this road. From the middle of each face, a small road leads into the hexagon (one or, in special cases, two lanes in each direction). 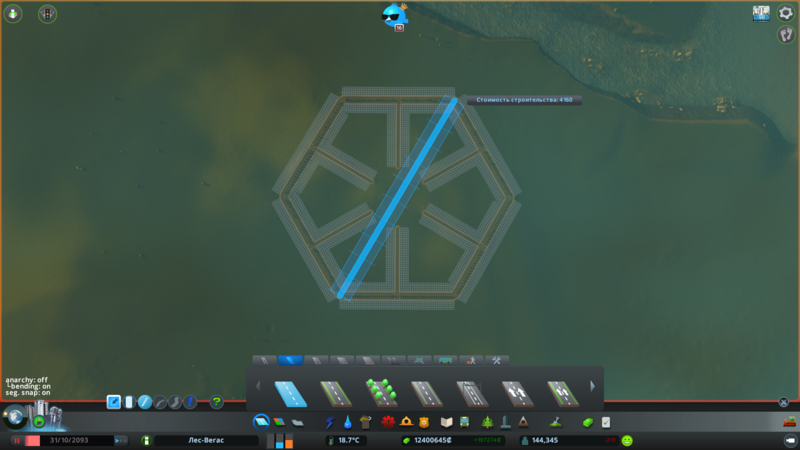 The road splits forming smaller hexagons. A pedestrian path goes through the corners. On a face of hexagons, it turns into a footbridge or an underground passage (the footbridge is better as it has a better view), since there’s an especially active traffic in such places and it’s better to stay out of the way. It’s safer for people. Along the perimeter (blue), various shops (except for groceries), cafes, hairdressers, and so on, are located. 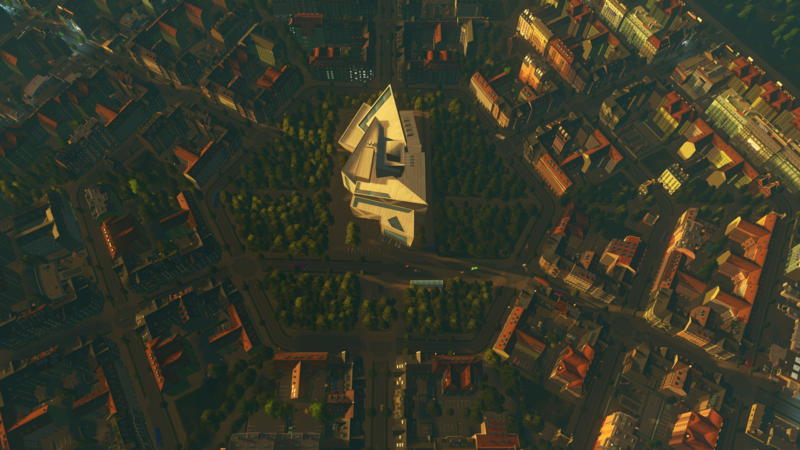 A little closer to the center (the light blue color), office buildings, schools and police stations are located. The remaining part (green) is occupied by residential buildings that can have groceries on the ground floor as it’s more convenient to walk to them than drive by car. 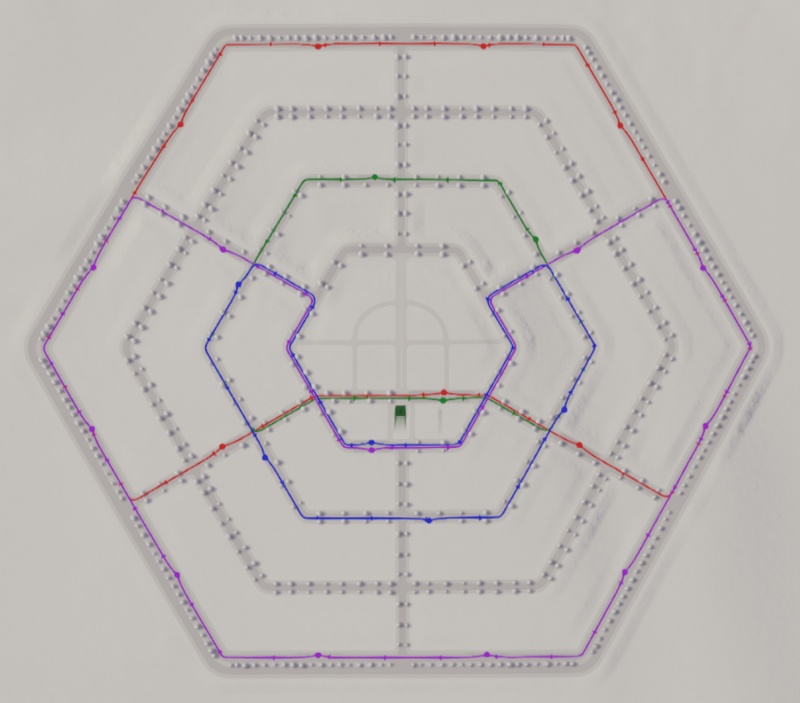 It’s possible to locate a park in the centre of a hexagon. The yellow areas are occupied by industry. It’s advantageous to locate them within the city, so that the manufactured goods won’t have to be delivered far. But they should also be close to the highway so that trucks with materials wouldn’t have to go through the city. Any movement of large vehicles in non-industrial areas should be prohibited. 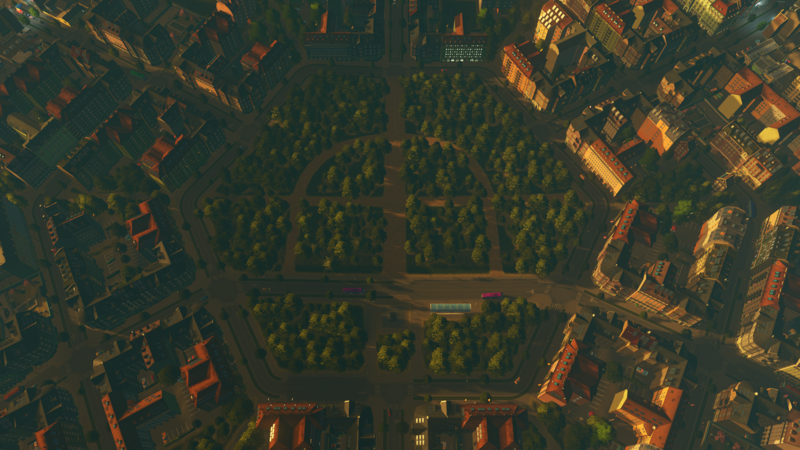 Alternatively, you can create a tourist hexagon in the very centre of the city with hotels instead of residential buildings. This will allow tourists get to any part of the city in equal time. Thus, they will be able to see all the attractions in quite a short time, and therefore the number of tourists can increase. 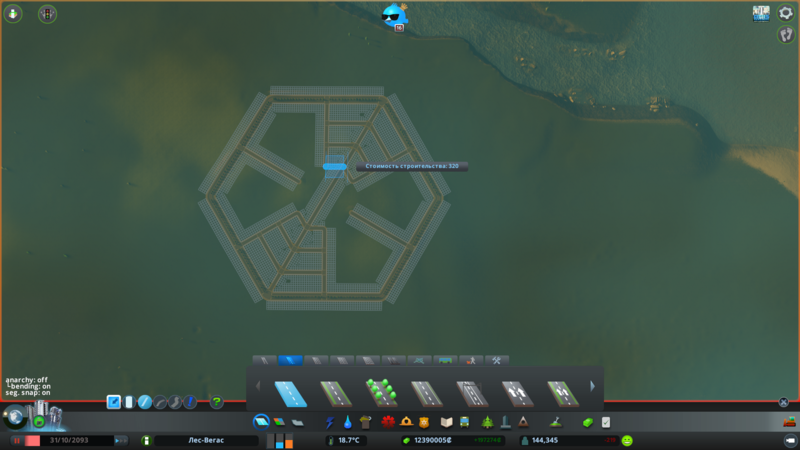 As I have said, the highway goes round the city along the perimeter, also in the form of a hexagon. This gives an opportunity to build new neighborhoods and thus expand the city. There are a lot of cars passing by, but there aren’t any traffic jams. 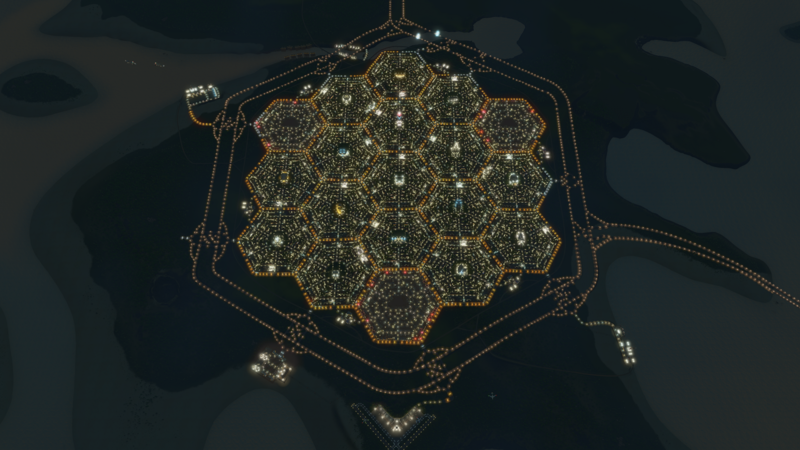 By the way, the city is populated almost to the limit and it’s time to build the next 19 hexagons in the neighborhood. Besides, the road has only 4 lanes (2 in each direction), plus parking spaces. This suggests that two lanes are enough. 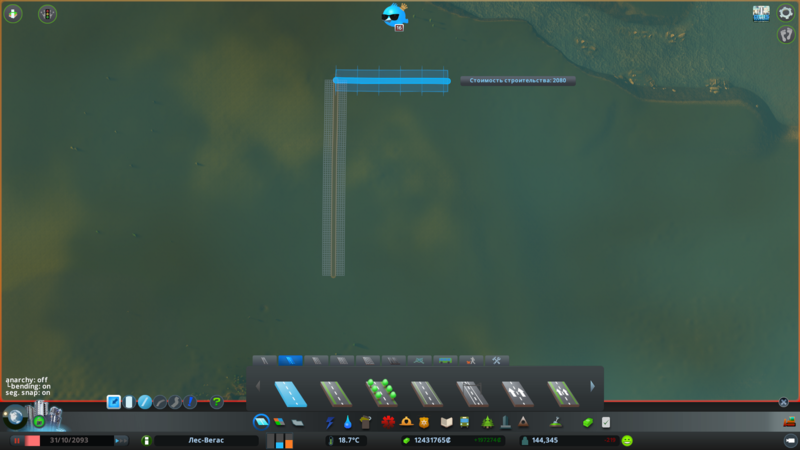 You can also remove the road separator and increase the number of lanes to 6 and thus increase the road capacity by half. 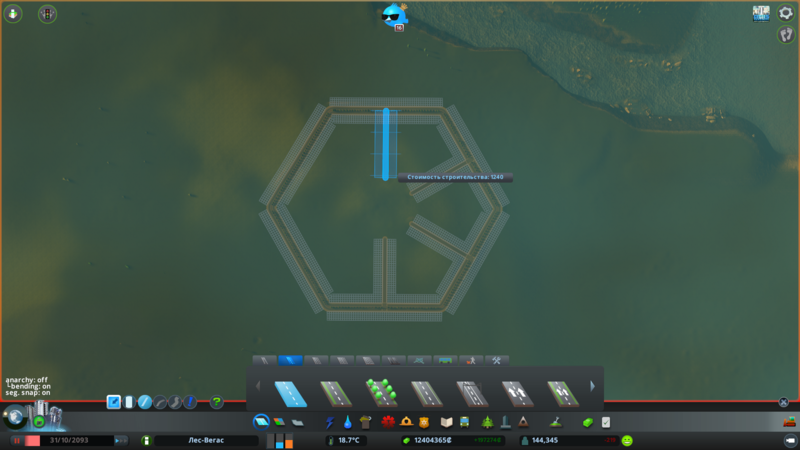 Roads inside the hexagon are not loaded at all, so the noise should not disturb citizens. How Come the Roads are not Loaded Given Such a Dense Development? I don’t have an exact answer to this question. I’m inclined to think that although the roads are not that wide, there are still a lot of them. That’s why the transport is spread throughout the city. Such road planning provides several equivalent paths from one point to another. 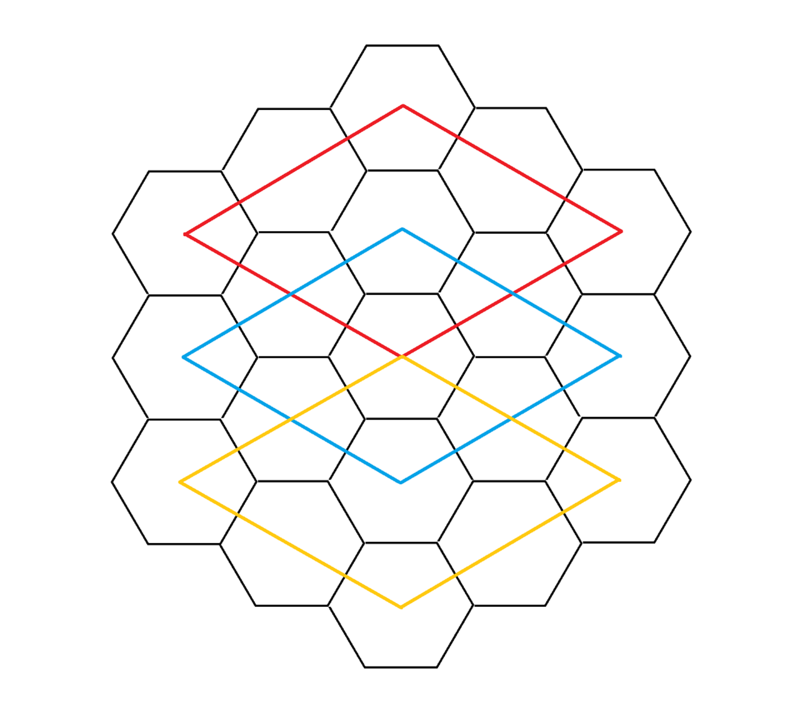 Within one hexagonal and its neighbors, it’s actually better to walk. Yes. This planning has a lot of traffic lights that work in three phases at the intersections of three wide roads. However, there are only two phases at the intersections of four roads. Because of this, the waiting time for the green light can take up to 2⁄3 of the entire cycle. Meanwhile, you won’t have to wait more than half of the entire cycle at regular intersections. Given equal roads, of course. This problem can be partially solved if we allow to turn right on red light (it is allowed in some cities). As you can see, three subway branches are enough here. Besides, each of them is connected to another, so citizens won’t need more than one switch. However, there is an unresolved issue of how to connect the subway system of the given neighborhood with subway in the neighboring one. Each subway station is located in the centre of a hexagon. Thus, tourists can get directly to landmarks in the centre without disturbing the citizens. They can also catch a bus from here that will take them to residential buildings, as well as shops and restaurants on the border of the hexagon. I’ve got 4 small bus routes. 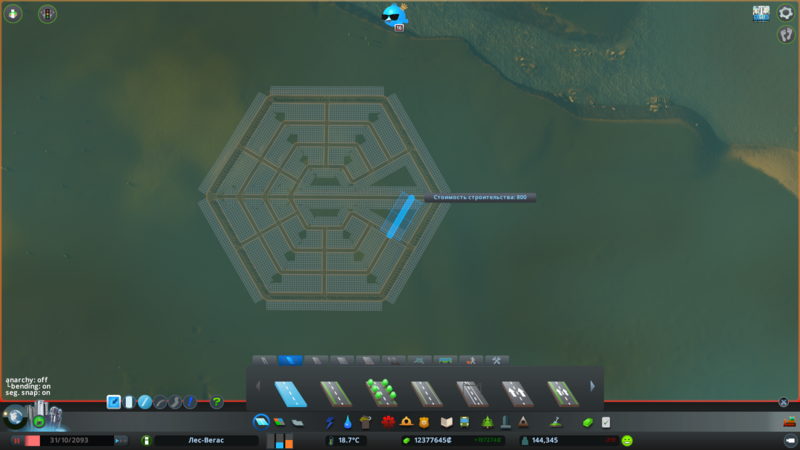 Two of them lead to residential buildings, and the other two to the border of the hexagon. I’m not sure that I did it the best way. Actually, I’m not even sure such transport is necessary inside the hexagon. I am young and can walk but what about elderly people? I consider my research to be complete and will be glad to answer all of your questions. You’re also most welcome to share your thoughts on the subject. 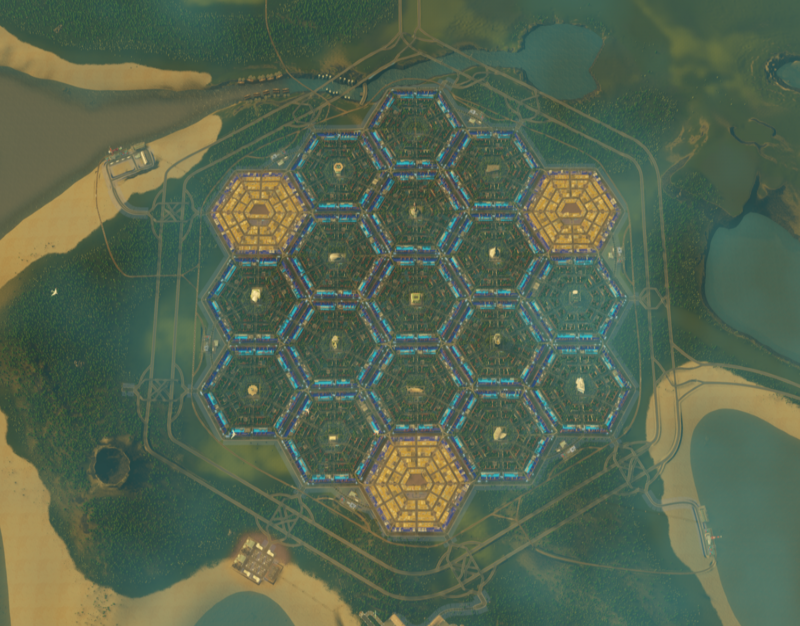 For those interested in how to create such hexagons without mods. Pay attention to the prices for the construction of roads as distance is measured in them.